The Queen’s full-time MBA Class of 2010 was in full swing on June 4, learning to fine tune their pitching skills during the 8th annual Kingston Ventures Study Tour (KVST). David Saunders, Dean of Queen’s School of Business, has been appointed to the 2010 Canadian Business Hall of Fame selection committee. Established by Junior Achievement of Canada in 1979 to recognize the lifetime accomplishments of Canada’s most renowned business leaders, the Canadian Business Hall of Fame honours those who have made lasting contributions to the economic development and prosperity of Canada. KINGSTON, ON, – A survey of over 200 working managers and executives reveals that many employers are cutting back in response to the current economic climate. 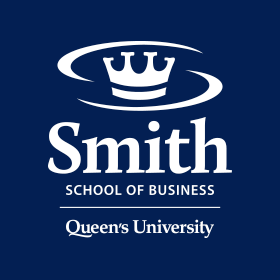 Almost three quarters (72 per cent) of the participants who are completing their Executive MBA at Queen’s School of Business in boardroom learning teams across Canada indicated that their organizations are spending less than they were two years ago.